Digital transformation as we know it is disrupting the principles of doing business. Organizations are in need of modern data center that can deliver the security, agility and scalability needed to power innovation and business growth. 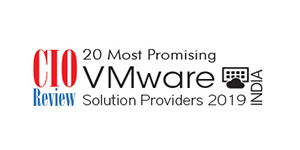 Catering to the digital era and meeting these increasing business demands, VMware solutions assists organizations to modernize their data centers. While there may be several vendors within this domain, most organizations are grappling with the learning curve associated with virtualizing the infrastructure and demand post sales support as well; something that most vendors are not well equipped with, causing uncertainty amidst business owners. Coming to the aid is Kerala headquartered Technology Excellence Group(TEG)that facilitates its clients with round-the-clock after sales support with Single Point of Support Engineer Contact(SPOSEC)to each project. technical professionals and our PreSales and After Sales procedures which are drawn in such a way where the customer’s satisfactory sign off pays it all to our resources in every project,” informs John Samuel, CEO, Technology Excellence Group. "With our partnership with VMware, one of the biggest advantages that customers experience is the availability of the complete suite of solutions under one roof"
Yet another concern in this domain is that security administrators have made audible their security apprehensions about virtualization. John goes on to explain that productivity demands agile systems to run the business applications and professionals need the ability to operate in their projects anywhere anytime. This requires a lot of security walls to be around to differentiate the professional critical data and the personal data of that user. The team leverages VMware desktop and application virtualization management tools to help streamline management, consolidate control, automate delivery and protect user compute resources. Established in 2012, the company extends its services across the whole category of VMware portfolios right from the traditional Server Virtualisation till the modern Hyper Converged Infrastructure, VMware Cloud, SDDC, MDM AirWatch, Workspace ONE and the likes. In conjunction with this, the company offers a gamut of value added services such as fulfilling tax exemption transactions without any additional fees, assistance for finance and lease purchase of IT equipment and software, business continuity assistance by providing stand-by devices/on cloud and technical training assistance for customer IT resources. Currently dominant in the markets of Kerala, Tamil Nadu, Karnataka and Gujarat, the company envisions expanding its presence pan India. On a global scale, TEG envisages increasing its footprint to Africa and UAE from its already established operation in Singapore. Additionally, the company plans to continue increasing its pool of professionally certified techies in order to provide the right solution with rich industry experience to its clientele.